Researchers at the Neural Systems Laboratory at the University of Washington have created the first ever documented and approved human brain-to-brain communication. While it’s not exactly the superpower of telepathy we’ve all been dreaming of, it’s still pretty close. 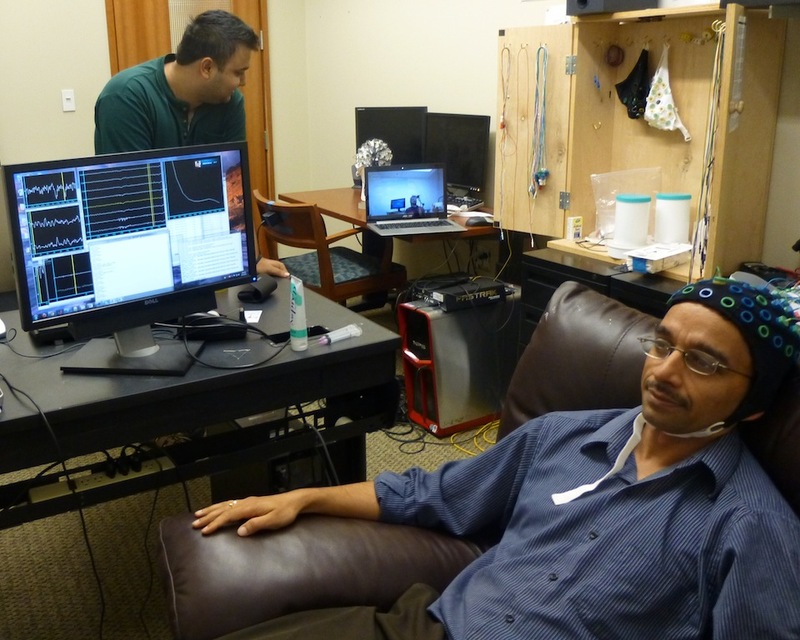 After a significant amount of training and strict adherence to human-subject testing regulations, UW researchers Rajesh Rao and Andrea Stocco have devised an experimental interface that directly connects the brain signals of two people. Using themselves as the first test subjects, they’ve successfully demonstrated this line of communication with a simple game. In his lab, Rao had to mentally move a cursor on the computer screen he was watching by only thinking about (but not actually moving) his right hand. When Rao moved the cursor over a circular target, his brain signals were sent immediately to Stocco all the way across campus to successfully move Stocco’s hand. In their separate labs, each researcher had a noninvasive but funny looking cap strapped to their heads. Because Rao was the sender of the information, he was hooked to an EEG machine that measured the electrical signals generated from his brain. Since Stocco was the receiver, he had a Transcranial Magnetic Stimulation device strapped to him that magnetically stimulated the hand-controlling region of his motor cortex. The two researchers brains were able to communicate through the computers that decoded the signals and the internet that transmitted the data. When the appropriate neurons in Stocco’s brain were stimulated, his hand moved accordingly. The procedure was replicated in over 20 trials. Through the experiment, the researchers found that direct brain-to-brain communication is not only possible, but it also exists within the technology already available to us. The research group’s next step is to investigate the results of the interface by testing a larger sample of subjects. 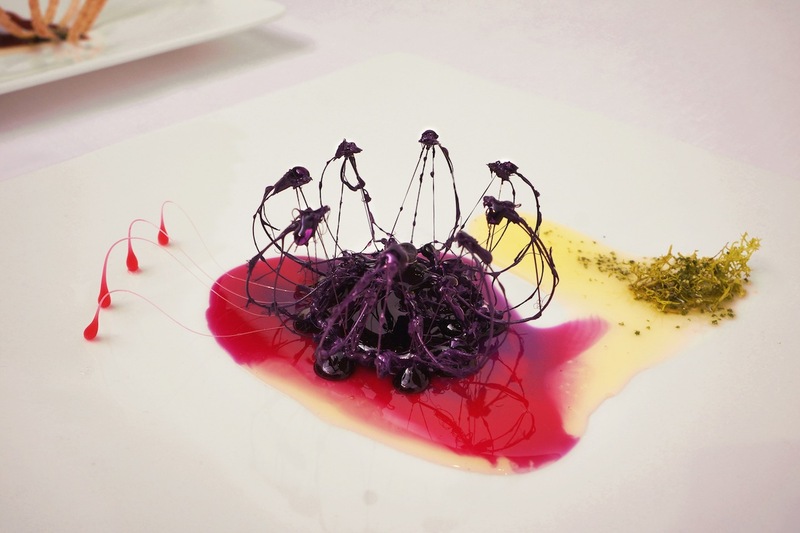 Designer Minsu Kim actually encourages it with her “Living Food” entrées that dance and delight both on the plate and on your taste buds. Kim breathes life into her dishes using synthetic biology at the Royal College of Art in London, creating new ways for diners to enjoy their food. Years of over exploitation of non-renewable resources have accelerated the development of ground-breaking technology for renewable energy. 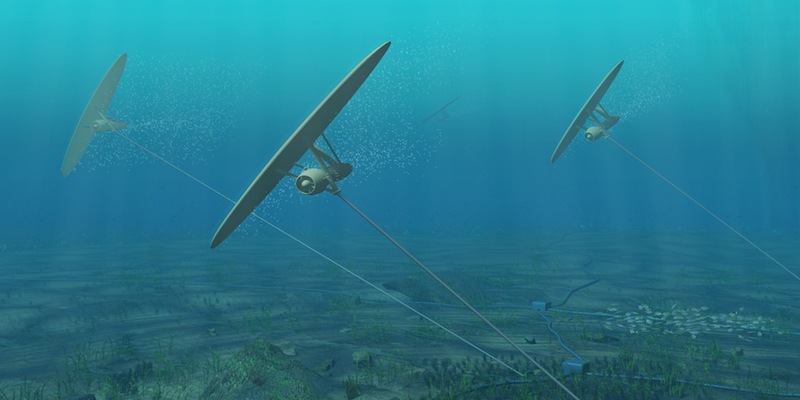 Swedish inventor Magnus Landberg at Minesto has designed a novel approach to sustainable energy: underwater kites that harness the power of ocean currents.